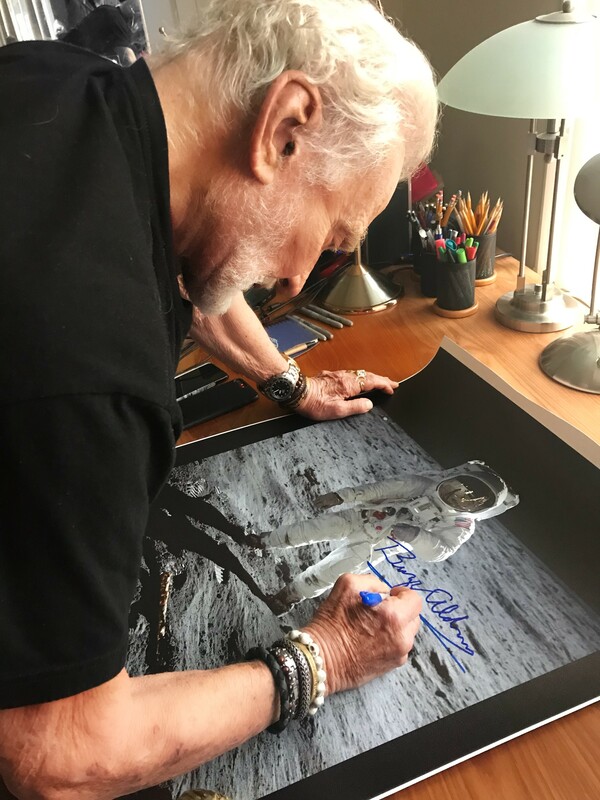 This magnificent 20”x 16” stunning, signed, stretched canvas of Buzz Aldrin walking on the moon is undoubtedly one of the most iconic images of any moonwalker and celebrates 50 years since we landed on the moon! 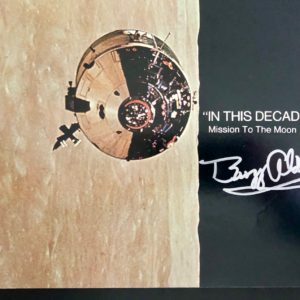 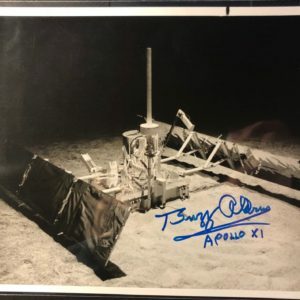 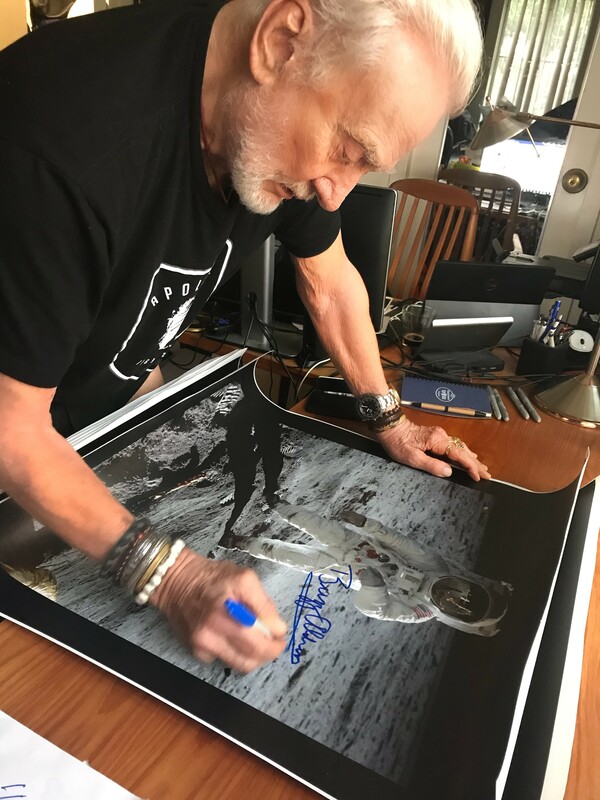 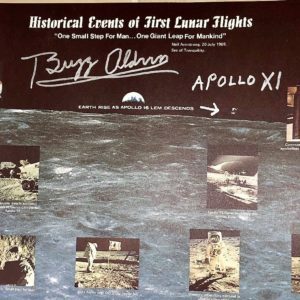 A Certificate of Authenticity signed by Buzz Aldrin Ventures COO Linn LeBlanc accompanies this piece, along with a digital photo of Aldrin signing. 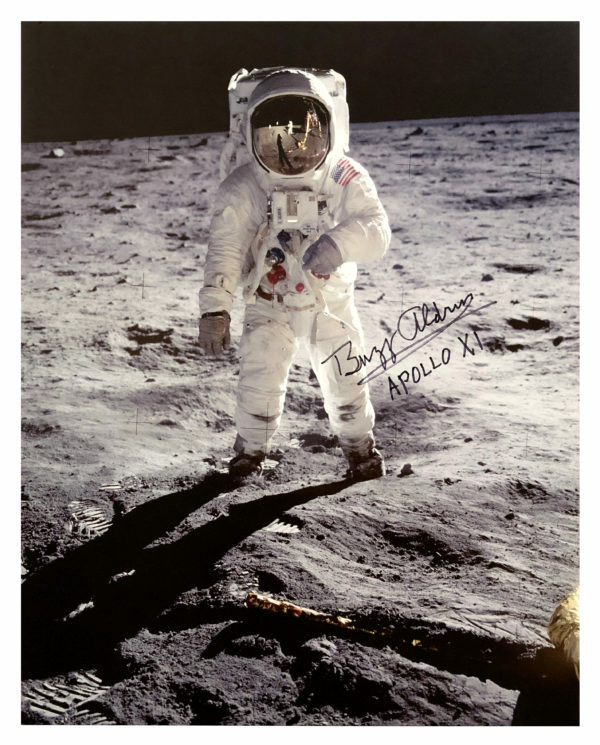 Read more about image: This most famous one is this iconic picture of Aldrin. 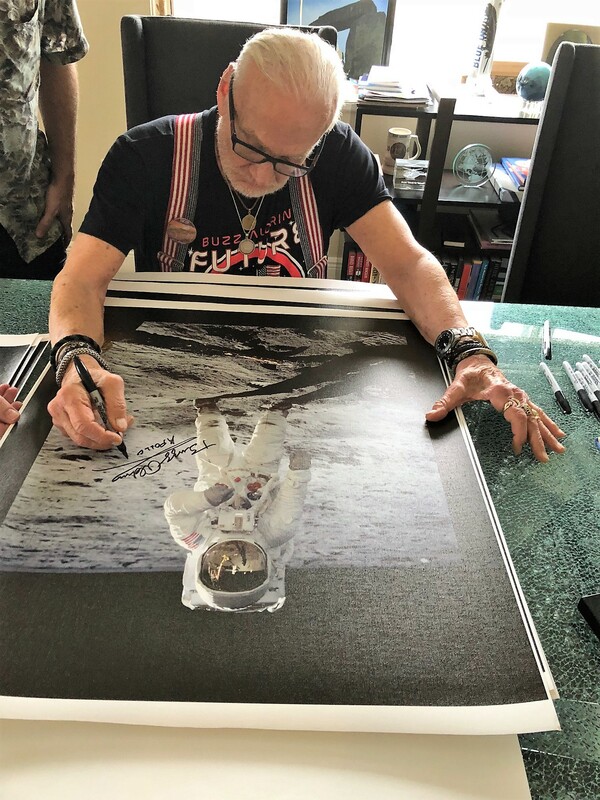 If you look closely at Aldrin’s helmet visor, you can see the reflection of Aldrin’s shadow, Armstrong and the Eagle lander. 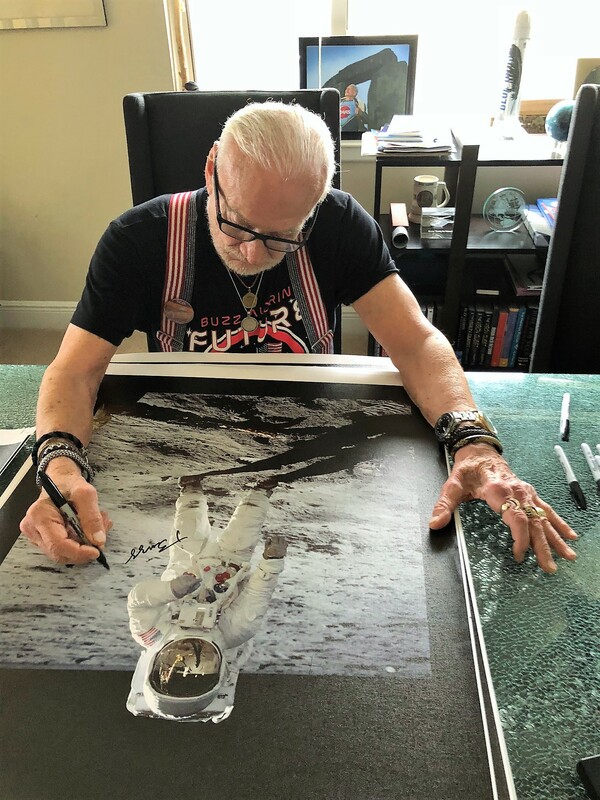 Armstrong took the photo with a 70mm lunar surface camera while the two explored a region of the moon known as the “Sea of Tranquility.” Aldrin said many people assume this famous photo was posed because it manages to capture both moonwalkers and the lander. 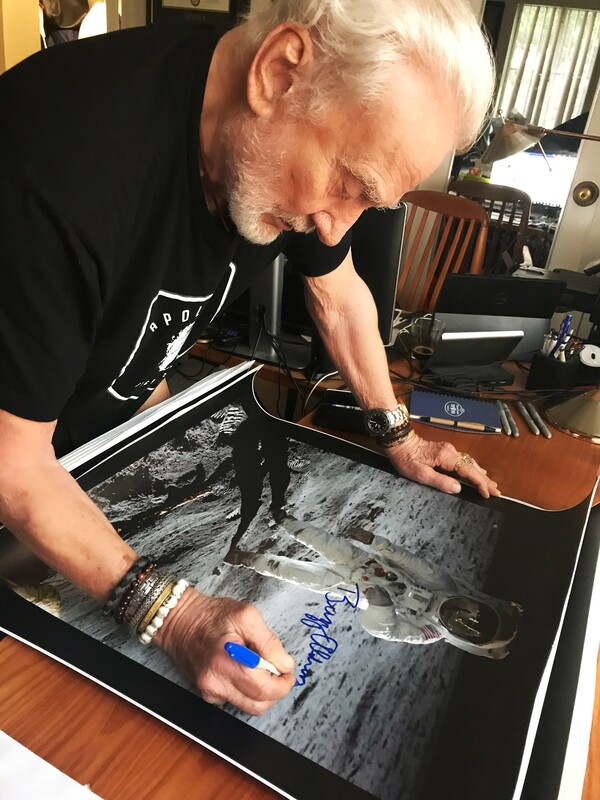 Sometimes they ask him if NASA specifically ordered this kind of shot. 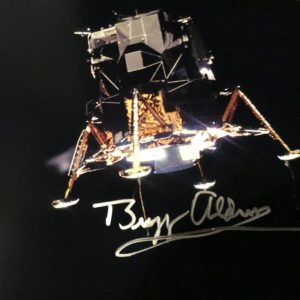 Aldrin was simply walking across the lunar surface and Armstrong snapped a photo at just the right moment.